DODGE RAM FORUM - Ram Forums & Owners Club! - Ram Truck Forum > Dodge Ram Accessories - Dodge Ram Parts - Dodge Ram Performance - Registered Vendors! > Mopar Online Parts - Dodge Ram Accessories! Mopar Online Parts - Dodge Ram Accessories! Suppliers of Genuine Dodge/Ram Parts and Accessories at wholesale prices. Shop with confidence as all repair parts orders are checked against the VIN provided to ensure 100% accuracy getting you the right part the first time. All items we sell are backed by a 1yr warranty. - Dodge Ram Accessories! FCA probably saved a few $ by not including the wiring on every build. Ok so confirmed same PIN, thanks again Benny, I'm sure you are right that it will need to be flashed. Thanks for the posts - and especially for the partial schematic. I have a 2018 Laramie - no harness pre-wired for me either. When I ordered a bed light kit, I missed the detail that there are unique bed light harnesses for 2016-2017, 2018-2019 Classic, and for 2019 DT's. So I purchased a 2016-17 harness and lights, which came without the bed mounted switch. I ordered the bed switch separately. It just means that I need to adapt the harness for the 2018 configuration and add an extra wire to splice in the switch. I do electrical so that's not the worst thing. 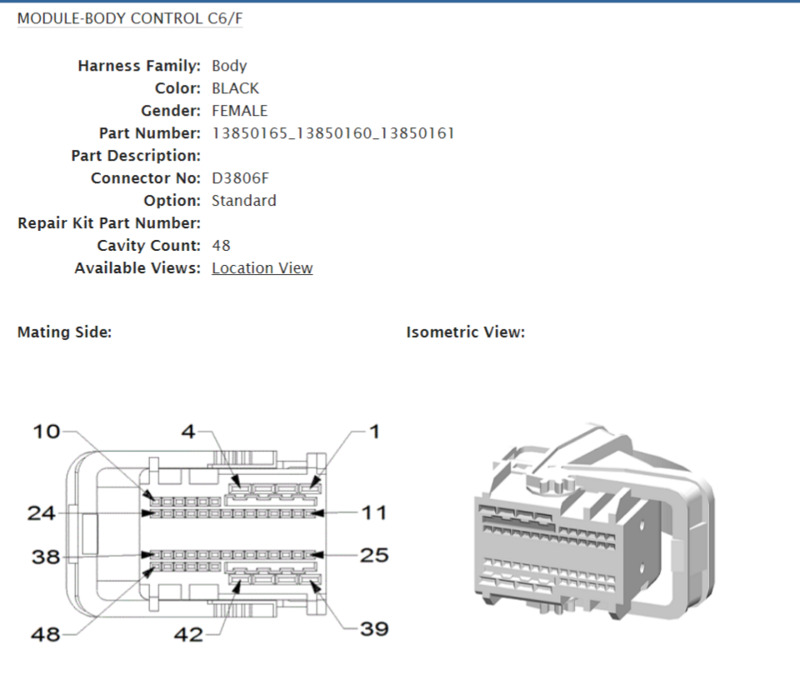 Comparing the instructions for the three different harnesses and the schematic is intriguing, but not necessarily illuminating. The bed light switches are built into the 2019 DT left side light, clearly a money saver. From the differences in which leads go to which pins on which BCM connectors it's apparent why they need to 'flash' the codes - no simple circuits here ! I received a 2018 cargo bed light switch only (Mopar P/N 68367545AA) in today's mail. I will wire into the 2016-17 bed lighting harness and light set that I purchased because I hadn't researched better. The switch operation is a 'bubble', momentary contact closure switch: from Open to ca. 0.2 Ohm or less when closed, Open when released. What is not clear to me (yet) is whether this switch momentarily grounds pin 26 on C6, or whether it momentarily connects pin 5 on C1 to pin 26 on C6. 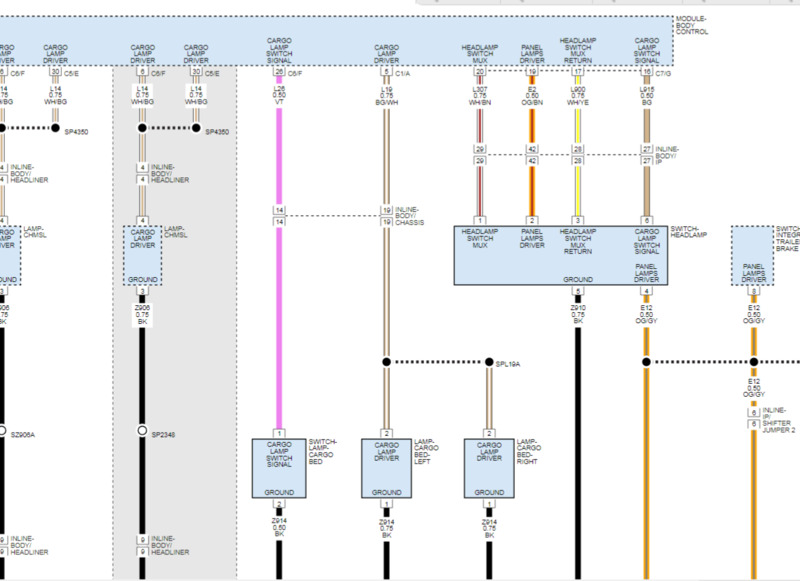 Logically grounding makes more sense, but I didn't design the BCM logic =). I will wire up, get coding done, and post back once it works. Background: Mopar OE bed lights, harnesses, and wiring changed from 2016-17, to 2018 (2019 DS too? ), and now 2019 DT RAMs. 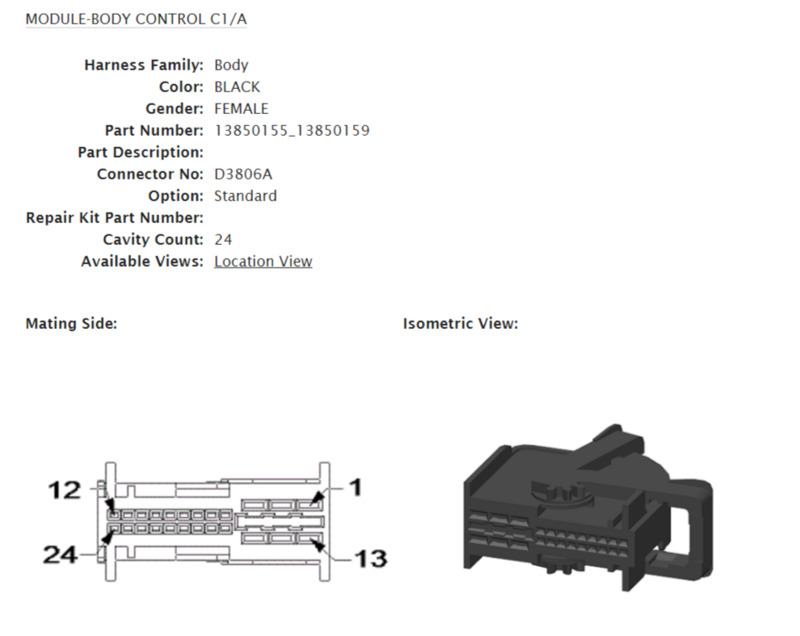 I read all three sets of PDF instructions for OE bed light harness installs for these three groups. The changes in where wires connect suggest that BCM wiring and/or programming are different as well. My two issues: 1) I bought a Mopar 2016-17 bed light and harness kit without researching to know that it would not have the switch I wanted for the bed of my 2018 Laramie, and 2) I discovered that the instructions miss out and gloss over some really awkward parts of the installation: Four items instead of one that I needed to remove from the steering kick panel, and no indication of an amp and several wire looms blocking access to my truck’s BCM. As noted previously, I ordered the bed light switch as a separate part (P/N 68367545AA), but of course it was not wired into the harness as the case for the 2018 harness. This turned out to be a blessing in disguise, because knowing I needed to add extra wire(s) to the harness made me think harder. What I did: My BCM is VERY hard to access without removing an amp and some other stuff – your truck build may differ, but I decided not to waste time and risk messing up. The cabin cargo button on the headlight multi-switch works by momentarily connecting pin 6 (cargo light signal) to pin 3 (headlight switch MUX return). To wire the bed switch I used 20 feet of 18 gauge twisted pair wire – 20 feet of wire is the bare minimum length for this on my 2018 Laramie CC short bed, while 18 gauge is oversize. I crimped, soldered & shrink-wrapped my twisted pair wire to the switch leads, and I ran it together with the Mopar 2016-17 bed light harness from back to front per instructions. At the front I ran the power lead and the twisted pair into the cabin through the firewall grommet, and I connected the ground lead to the M6 (10mm nut) chassis ground stud near the battery. In the dash I spliced the twisted pair wires from the bed switch (crimp, solder, & heat shrink) onto the leads for pin 6 and pin 3 at the headlight switch connector. I ran the bed light power lead down to the main wire harness running along the driver door sill, and I spliced the bed light lead to the cargo light power lead there (crimp, solder, & heat shrink). Result: My new bed and existing cabin switches are in parallel, and either one triggers the MUX return. This way the Bed Switch mimics the factory behavior, and I can leave the BCM undisturbed for now. The OE LED bed lights do not overload the circuit, but I’ll be converting the cargo lights to LED any way. THANKS for comments that helped guide my choice !